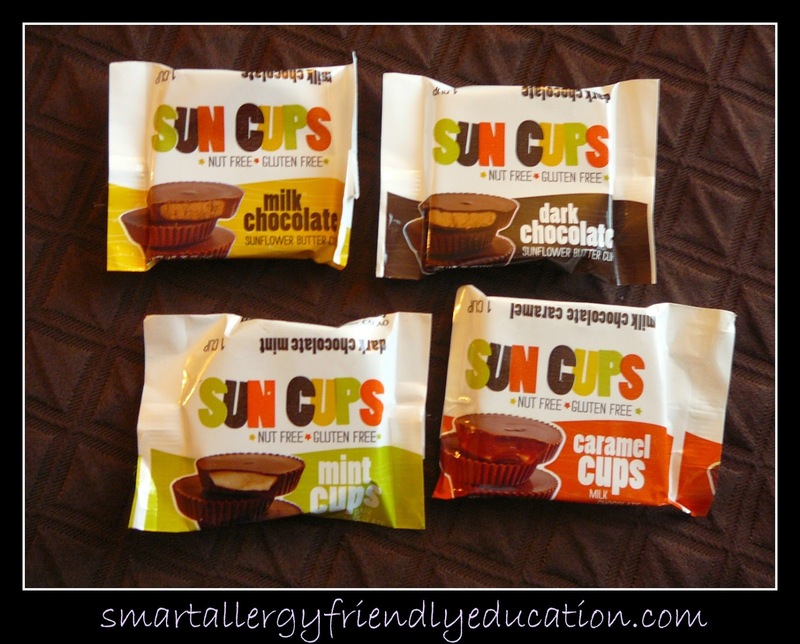 Smart Allergy Friendly Education: Nut-free, Gluten-free Sunflower SUN CUPS - Ending the Peanut Butter Drought for Peanut-Free Lovers! Nut-free, Gluten-free Sunflower SUN CUPS - Ending the Peanut Butter Drought for Peanut-Free Lovers! 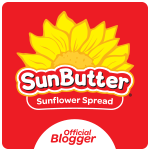 A few months ago at the Food Allergy Blogger Conference in Las Vegas, I had the pleasure of trying out a nut-free, gluten-free product NEW to me. Little could I believe, that this Milk Chocolate Sunflower Butter Cup wasn't a more well known peanut butter cup! I would have liked to have seen the look on my face as I tried their Dark Chocolate Mint Cups, and I suddenly felt the sensation of standing on the top of cool mountain! Truly.. I was delighted! You can only image how thrilled I was when I received another package of them just a few weeks ago as the final winner of the Nutrimom 14 Days of Love Giveaway ! YUP! Another SAMPLER PACK of SunCups!! Milk Chocolate SUN CUPS, Dark Chocolate SUN CUPS, Dark Chocolate MINT CUPS, and Milk Chocolate CARAMEL CUPS. 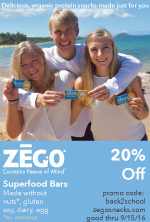 The cacoa they use comes from Rainforest Alliance Certified farms. That means the chocolate comes from farms that watch out for their workers and their planet. Wondering where you can buy them locally? On-line? Or, want to order at wholesale prices? For more information, visit their website, Sun Cups or call 720-470-3257. To satisfy all of your nut-free, gluten-free chocolate cravings, be sure to try out their milk chocolate and dark chocolate bars as well as Variety Packs and Sampler Packs! Those sound dreamy--how can I order them?